Where Did My Genes Come From? 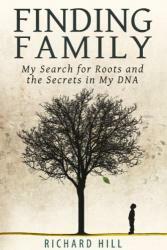 I just finished Richard Hill's new book "FINDING FAMILY: My Search for Roots and the Secrets of My DNA." 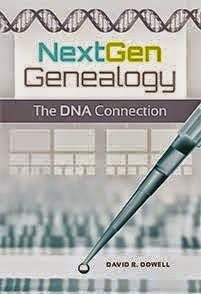 Blaine Bettinger who blogs as "The Genetic Genealogist" Published an excellent review that I just read after I had read the book myself. I agree with everything Blaine said -- including the small criticism about the difficulty at a few points of following all the bit players without a scorecard. In this regard I hope Richard will consider inserting brief diagrams (dare I say pedigree charts) of some of the families he encountered along his quest to find his biological parents. Even though I heard Richard recount this story as recently as last November, the twist at the end of the book was a surprise that kept me reading far too late into the night until I had finished the heartwarming saga. The story is engaging and those involved with DNA testing and/or traditional genealogy can learn much from the process and missteps Richard encounter along the way. Birth parents and adoptees searching for each other can learn many techniques and receive inspiration. Read and learn.